The 52-year-old model makes her own decisions about what feels appropriate and authentic. For some, "aging gracefully" means letting the grays grow in and cultivating a love of flowy fabrics. 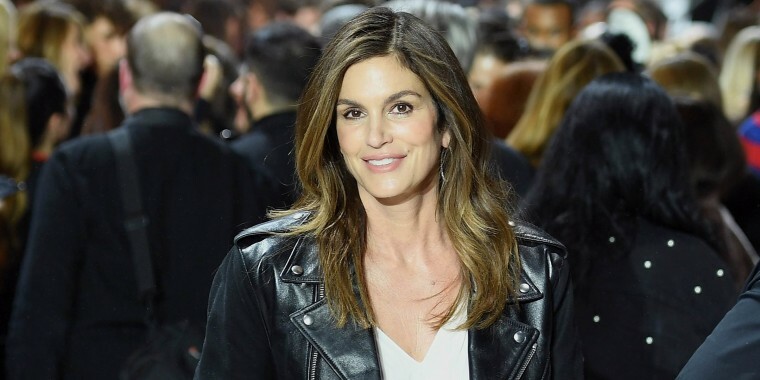 For Cindy Crawford, who recently turned 52, it means ignoring the "rules" and making her own decisions about what feels appropriate and authentic. Double trouble with @Omega in Sydney! “Before my 50th birthday, I cut my hair to a long bob but then thought, ‘I don’t feel like myself,'" Crawford told The Daily Telegraph. She's since gone back to her signature long locks — and with such voluminous, healthy hair, who can blame her? Indeed, since turning the big 5-0, Crawford has shared several (tasteful!) bikini shots on Instagram. Great end to a great weekend. And skinny jeans are apparently still fair game. Homeward bound. Thanks for an amazing time in Sydney, @Omega! We're guessing that these Daisy Dukes are out of the day-to-day rotation? Here's to the fabulous 50s! This was originally published Feb. 11, 2017.